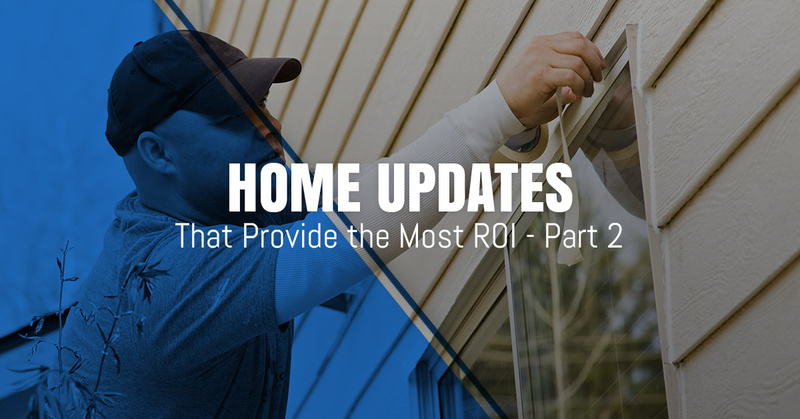 Why would you waste your time on home upgrades that don’t offer the ideal return on investment? In the first part of this post, we looked closely at bathroom/kitchen remodels, attic conversions, deck additions, and basement renovations as some of the top projects that are well worth your time. Keep reading for our next five that are certain to provide plenty of bang for your buck. Replacement windows – How are you staying cool during the hot Colorado summer? One way could be with purchasing replacement windows that reflect heat. But new windows don’t just keep you and your family comfortable, but they also feature a recoup rate of nearly 90 percent down the road. If it’s not yet time to completely replace your windows, chances are that they could still need some attention from a reliable handyman. Matt of MC Home Services has been Boulder’s go-to home remodeler for years and can get your windows back to looking good or handle new window installation upon request. Family room addition – Have you ever thought of putting in a sun room? If you have a space in your home that has an open transition, the possibility is there. Keep in mind that a wider interior doorway and larger steps can visually connect the new room to the rest of the house. Financially, a new family room such as this one brings a recoup rate of about 83 percent, as mentioned in this guide from HGTV. Home office or other “bonus room” – Do you have that one room in your home that you just haven’t figured out what to do with? Converting that space into a home office or study can provide up to a 73 percent average return at resale. You’ll want to consider adding electric outlets for your computer, as well as recessed lights. Don’t forget about cabinets or bookshelves to organize the space above your desk. If you could use some help with the carpentry or painting work with this project, don’t hesitate to get in touch with our home remodeler. Bedroom upgrade – Is it finally time to breathe new life into your bedroom? HGTV recommends replacing that old light fixture for a small chandelier. Try to use as little joint compound as possible when doing drywall repair to make it easy to even out the surface later. As far as flooring is concerned, you can’t go wrong with hardwood. It’s much easier to clean than carpet and looks better, too. Matt has years of experience with flooring installation and refinishing should you need some assistance. Note that bedroom updates return about 52 percent of the cost at resale. Living room updates – You’d be surprised what a new coat of paint can do for a living room. Then take your living room to the next level with new hardwood flooring for an attractive, modern feel. You can expect this type of home renovation to have a recoup rate of more than 40 percent in the future. When you’re ready to start knocking items off your to-do list at home, you need an experienced professional at your side. That’s just what you get with Matt. As a true jack-of-all-trades, Matt will go the extra mile in ensuring that you’re satisfied with his work. Unlike other contractors, our handyman truly values integrity and communication. Before you begin your next remodel, give Matt a call.